This countertop/wall iPad stand keeps tablets of all sizes safe and secure. Watch how you can easily adjust, lock, or mount the case depending on your needs! 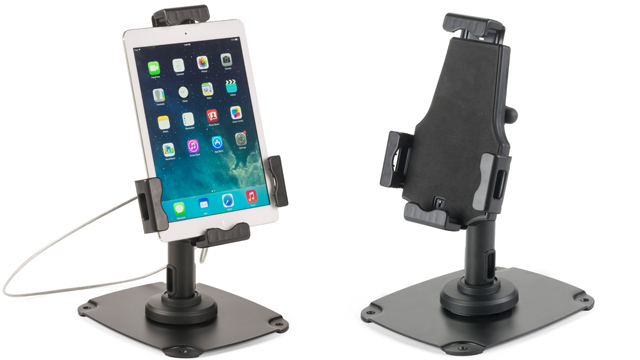 These iPad holders are great for both retail or residential environments. TEXT: "Kensignton lock included to keep device safe from unwanted tampering or theft. The iPad holder includes hardware for wall mounting."